I was asked to write the devotional for the December Echoes magazine (see here for more information). This is the text. Paul’s presence in Athens may have been a direct result of persecution from the Jews in Thessalonica, but Paul does not miss any opportunity to proclaim Jesus. 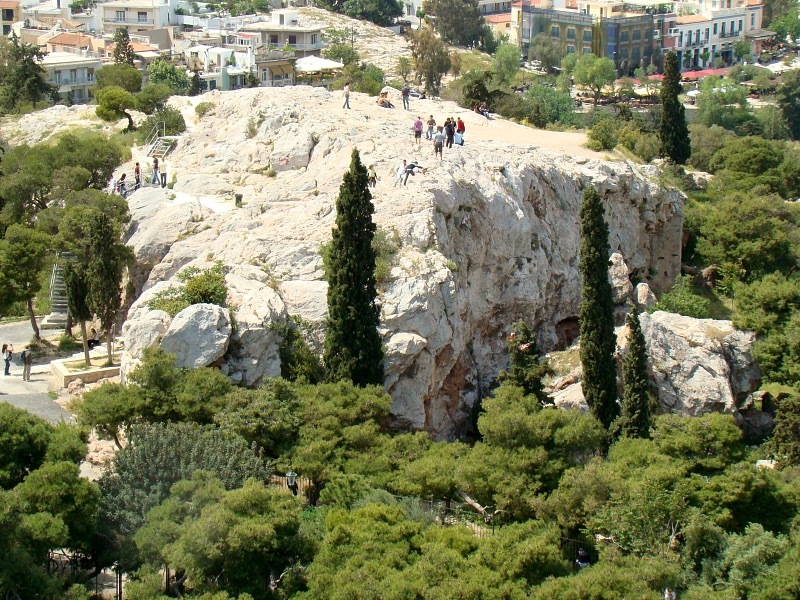 He takes the message into the market place where philosophical discussion was the norm (v 21), and this results in an invitation to address the Areopagus (v19), the ancient judicial site in Athens and place of philosophical debate. Paul grasps this God-given occasion to present the truth of the gospel in a way which connects directly with the culture and world view of the people he was addressing, while at the same time, challenging that world view at its very core. Paul notices the numerous altars that abounded in the city, even finding one which was to an unknown god (v 23). It is this he uses as the launching pad for his message. Unlike Peter in Acts 2, Paul cannot start by referring to the Hebrew prophets (Acts 2:17f), instead he starts with the altar, and continues by quoting pagan poets (v 28). His purpose is to establish ground upon which he and his hearers could meet so that the message he had to bring did not simply enter a philosophical or cultural vacuum. It is only after laying these foundations that Paul moves to unfamiliar ground. This unfamiliar ground though, is not a discussion of some doctrinal nicety, it is a presentation of Jesus. Even though Paul does not name him, he makes clear that God has raised him from the dead and appointed him to be Judge (v31). He thus calls his hearers to repentance, to change their attitude towards God and his chosen one. It is a very similar call to that of Peter in Acts 2, for the Jews to change their attitude to Jesus and recognise that this one who was crucified has been made both Lord and Messiah. The centrality of Jesus to the message is a lesson we continually need to learn. We do not preach a way of life, a philosophy, or a world view; we preach Christ, crucified, risen and exalted. It is this message alone which can truly challenge the world views of those around us.